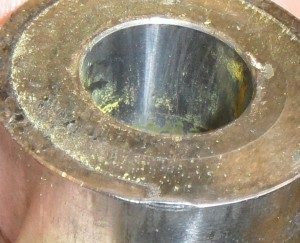 The die alignment guide is designed to assure that the die enters the die socket correctly, and to ensure that the die is free of any nicks or burrs that could damage the die sockets. 1. Make certain the die slides through the guide smoothly; do not force it. If the die hangs up that means the die edge needs to be de-burred before use. 2. 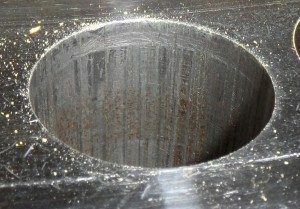 Inspect the die socket for prior wear, and record any old damage. 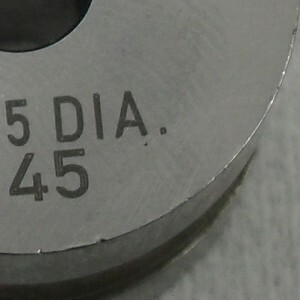 A photo is worth a thousand words: vertical lines in the die socket are from a burr on the die, and horizontal lines are from putting the die in crooked, and then forcing it into place. 3. 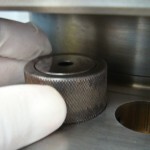 Use the die alignment guide to direct the die into the socket to prevent it from cocking and damaging the die socket. The die is much harder than the die socket. 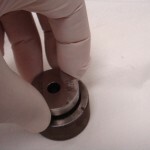 The die socket will always show evidence of improperly installed dies.